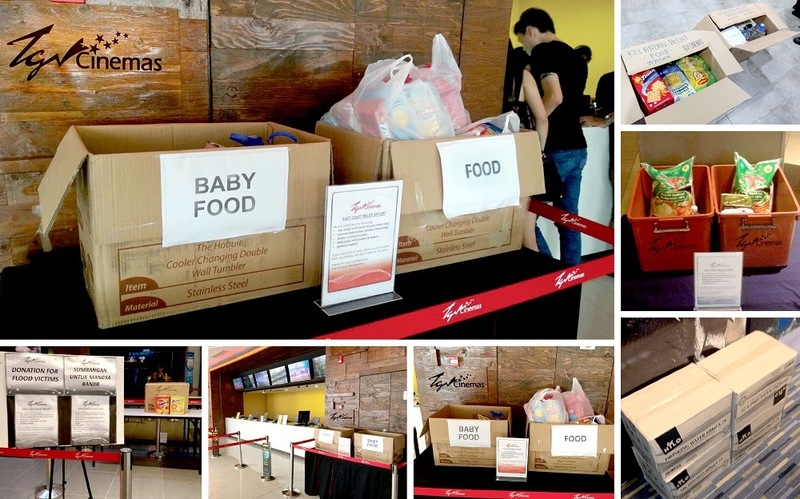 Are you one of those who wants to support some of the over 100,000 flood victims in the East Coast of Malaysia but didn’t really know how? Well here’s a way you can truly help. We are invited to contribute dry, ready-to-eat foods (such as biscuits and tinned food), supplies for babies (milk powder, disposable diapers, baby food), mineral water and also sanitary pads. Your unwanted clothes are still unwanted, so you can keep them for others in need. 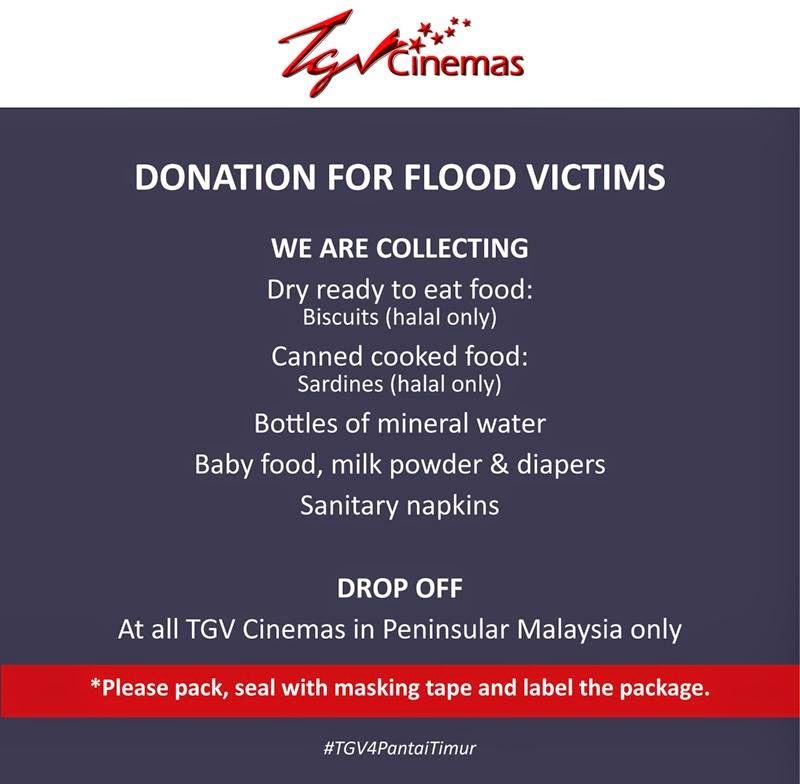 Those who wish to donate the needed items can drop it off at any nearest TGV Cinemas location in the Peninsular from 10am to 10pm. Make sure the items are all packed, sealed with masking tape and labeled. Let’s come together and help those in need. Don’t worry, your donations won’t be branded like our government’s… I think.